Rochester is located on the southern shore of Lake Ontario in western New York, it is the third most populous city in New York state, after New York City and Buffalo, the metropolitan area has a population of just over 1 million people. Rochester was America’s first boomtown, initially due to the fertile Genesee River Valley, which gave rise to numerous flour mills, and then as a manufacturing hub. Rochester is home to a number of Fortune 1000 and international businesses including Kodak, Western Union, Bausch & Lomb, Gleason and Xerox. Until a few years ago the Rochester metropolitan area was the second-largest regional economy in New York State. Tech Valley, the technologically recognized area of eastern New York State, has spawned a western offshoot into the Rochester. According to CNN Money Rochester is one of the best 10 cities to buy investment property in the US, Rochester’s housing market did not slow down as badly as some other cities in the US but prices are still well below the national level. Even during the down years, rents have held up well and are projected to get stronger overt the next few years. Rochester and the surrounding region host a high concentration of colleges and universities which drive much of the economic growth. The University of Rochester is one of the country’s top research centres and was ranked as the 32nd-best university in the USA. Rochester currently is undergoing a huge development, Rochester Regional Health is undertaking a $253 million expansion, work is under way on a $50 million, 150-unit apartment complex on Hudson Avenue, the Eastman Kodak Co.’s tower is getting a makeover, Strong Museum are pledging $105 million for developments of the museum, new hotels and housing development. Rochester offers a stable real estate market, healthy appreciation, high quality of life and a healthy business economy. Rochester has a strong rental market, the average rent for a single family home in Rochester is $921, a 2% increase compared to the previous year. If we look at apartments as of June 2018, the average rent for an apartment in Rochester is $1076 which is a 16.54% increase from last year, the reason for this large increase is the current redevelopment taking place in Downtown. The most expensive Rochester area to rent in are the Central Business District, Corn Hill, and East Avenue, the cheapest Rochester neignborhoods to rent in are Beechwood, East Avenue, and Corn Hill. Rental rates are increasingly outpacing mortgage payments and a record number of households are opting to rent over owning. Population of 208,046 residents, Rochester is the seat of Monroe County and the third most populous city in New York state, after New York City and Buffalo. The metropolitan area has a population of just over 1 million people. Rochester has a population of 208,046 residents, Rochester is the seat of Monroe County and the third most populous city in New York state, after New York City and Buffalo. The metropolitan area has a population of just over 1 million people. The city proper has a population density of 6,132 people per square mile (2,368/square kilometer). 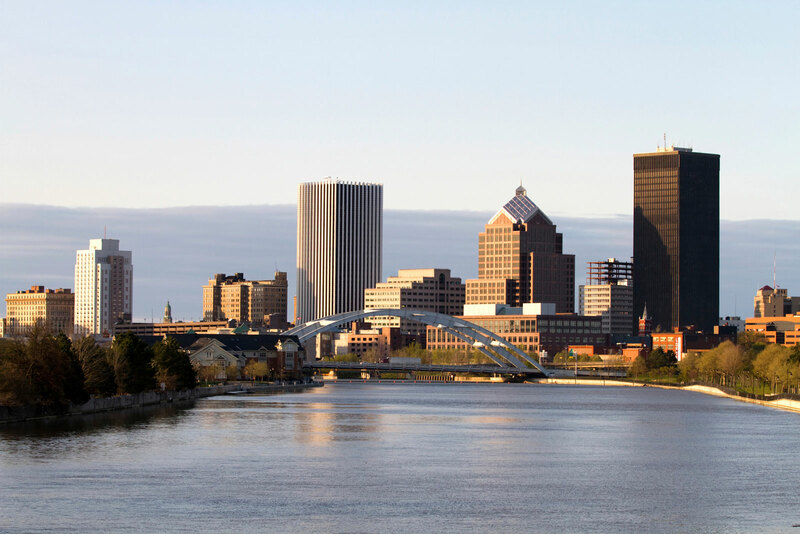 The larger Rochester urban area has about 720,000 residents while the metropolitan area has a population of 1.08 million, which makes it the 51st largest metro area in the U.S. Rochester has the second-largest economy in New York following the NYC metro area. Rochester is an international centre of higher education, as well as medical and technological development. The economy in Rochester is growing at an above trend rate, which is tightening the labor market and therefore businesses are incentivized to invest in labor-saving technologies. Rochester has seen the job market increase by 0.6% over the last year. Future job growth over the next ten years is predicted to be 35.2%. In Rochester we work with one, reliable and consistent partner who is local to the area and has been a hands-on expert in the local market for over 5 years. Our partner is one of the leading Rochester management companies who will collect and deposit your rent, maintain and repair the property, assess and interview tenants and keep you updated on a regular basis. Invest now, contact us today! 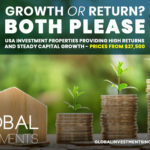 At Global our dynamic team of investment specialists will give you the best and most professional advice, without forgetting the personal touch. We can deliver the best prices and yields in every market we work in, we have our finger on the pulse. 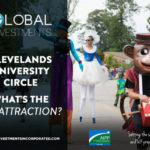 Clevelands Famous University Circle… So whats the attraction? ?